As vehicle management techniques and asset owners’ priorities change Autorola Solutions’ priority is to customise its solutions to accommodate these requests. Its focus is to individually design asset management solutions covering the specific needs of large fleet owners of every size in OEM, bank and leasing segments globally. Everything it delivers is bespoke as Autorola is aware at this level one size does not fit all. The ability to grow and drive digital transformation is at the heart of positioning Autorola Solutions as a forward-thinking, efficiency-improving and values-centred business unit. At the heart of the Solutions offering is the Fleet Monitor workflow monitoring tool which is focussed on helping asset owners control in-fleet and de-fleet processes in order to optimise their profit. It covers all stages of fleet management, from the time the car is ordered through a dealer, to its time in use with a driver, to it being defleeted through online and physical channels and its final reporting. It helps improve service levels and lead-times across all aspects of all in-fleet to de-fleet processes. Ultimately the system integration allows fleets to combine a workflow that allows fleets to plan and control all activities from one single access point. The system records various customized gateways that each vehicle must pass through, such as arrival, handover to drivers, return, inspection and sales. This means an end-to-end value chain is easily managed in a structured and transparent way allowing constant monitoring and work flow improvement – from in-fleet to de-fleet and sales. Autorola has developed Fleet Monitor in house and features all the benefits of online control and transparency that Autorola is famous for. This is combined with the skills and experience of a consultancy team that gets under the skin of a fleet’s requirements to fine tune the workflows and processes to match a customer’s exacting requirements. The Netherlands is aiming for half of its new car sales by 2025 to be electric or hybrid as part of a Green Deal which incentivises company car drivers to choose a low emission car to reduce their personal tax. However, the used car market is still trying to play catch up and currently is in disarray, with consumer used demand for smaller petrols outweighing the supply of petrol cars in the market. Meanwhile diesel demand continues to fall. This has caused a huge disconnect with OEMs, leasing groups and dealer groups having to export used diesels to other European countries, including eastern Europe. Autorola’s online remarketing platform is at the heart of this export strategy with used cars being loaded onto the portal daily and then purchased by the thousands of active buyers it has across Europe. Used cars are being exported to Portugal, Germany and Denmark. On the buyer front OEMs and their dealers are being forced to import used petrol cars into the Netherlands to satisfy current demand. The Autorola platform is being used by Dutch buyers to bid on and import small to medium sized used petrol cars from across mainland Europe. 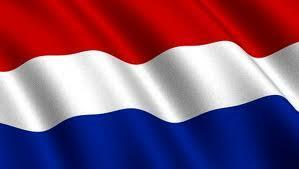 “Autorola Netherlands has seen major growth based on more used cars being imported and exported through our portal. This so called cross border used vehicle activity is forcing OEMs, leasing companies and dealer groups to think on a European level now not just a country level. For some this is very difficult. Only those that think on a European level will survive,” said Zijad Halilovic. “The new car market is about the local market and the used market is based on a European perspective. This is a very new concept for many and one that we are helping buyers and vendors to come to terms with,” he added. In the meantime sales of new zero emission and hybrid cars continues to grow and Autorola predicts it will be around 2020 before the used market mirrors the stability of the new market. Autorola Turkey’s has launched INDICATA, the country’s first ever used car values guide and is making used stock available to local and national buyers. The government’s decision to increase its special consumption tax in late 2016 by 3% on models costing 40,000-70,000 lira has helped ignite consumer demand for used cars. The Turkish used car market is around 3.5 million used cars in size but is expanding nationally not just in Istanbul. “Historically much of the used car business has been based just around Istanbul. The used market is now maturing quite quickly and trade buyers across Turkey have been very open to purchasing used cars online. “We have signed up 10 major vendors in the past 12 months which reinforces the response to online remarketing. Turkey is a big country and it is uneconomical to keep moving vehicles round to sell them. This vendor growth has helped us provide a wide mix of stock for buyers which they have responded to very well,” explained Saygi. A major investment in the country’s transport infrastructure is also helping take away the focus just on Istanbul as the economic capital of Turkey. Better road networks will help spread the external investment to other cities and Autorola is playing its part by running regional online used car auctions in nine different cities. “It’s all about local buyers being able to buy used cars from both local and national vendors. The response has been positive from buyers as they are getting the chance to bid on stock that would normally end up in Istanbul,” he added. One challenge for the Turkish market is knowing what used cars are worth which has been supported by the launch of INDICATA, the country’s first real time used vehicle pricing system. 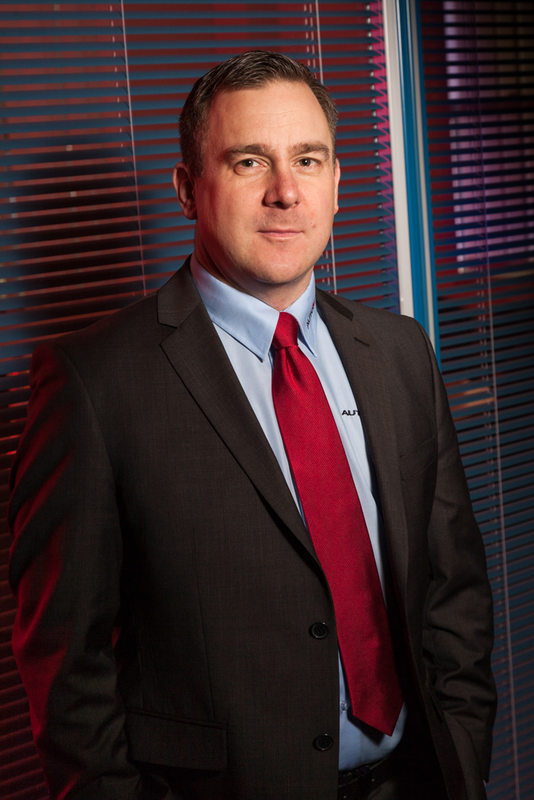 “Dealers can use the data proactively to sell more used cars and importantly reduce stocking days. They will be able to adjust prices up or down on a weekly basis to ensure their used stock remains competitive and only buy in new stock they know is in high demand. INDICATA gives the market the most dynamic insight into the used industry and OEMs and their dealers are already actively piloting the system. “We cannot underestimate how important this launch has been. Ultimately further maturity of the used market helped by the likes of INDICATA will ensure Turkey quickly catches up with other European countries,” said Saygi. Autorola Brazil is experiencing an increased demand for its online inspection and remarketing services as it supports the country’s fight against its corruption levels. It is having a record year based on European car companies, fleet owners and rental and leasing vendors investing in the transparency of Autorola’s online portal. “Company decision makers like the fact that everything is open and transparent, right from the recording of an inspection of a car and upload of a vehicle’s condition to the sales portal to the vehicle payment process. Autorola Brazil is more than just an intermediary of remarketing of vehicles. It presents a demobilisation process, based on its values of transparency, flexibility and accuracy,” said Autorola Brazil country manager Marly Fialho Kierulf. “Our experience in Brazil follows the culture of Denmark. They like the fact that Autorola is a Danish online business and that there is very little or no corruption in its home country. It gives them a confidence to use and trade on our online channels,” she added. On the back of a falling new market, the used car sector has continued to thrive with strong demand for smaller, low value used cars such as Toyota and Hyundai and with prestige brands such as Audi, Mercedes, BMW and Volvo and even Ducati motorcycles. The lower and middle classes have been most affected by a recession but the upper classes continue to demand higher value prestige cars. For months Autorola could have sold double the amount of prestige used cars on its portal. Since 2014 Autorola Brazil has carried out inspections and online remarketing through a Sales Cascade programme for the car maker’s management, press and HQ demonstrator cars. The used cars are inspected across the country using Autorola’s online inspection system and are then uploaded onto the Autorola Brazil remarketing portal complete with images and a detailed condition report. Autorola works with Audi to fine tune prices to ensure stock is priced perfectly to tie in with market conditions before the cars go live. The three-stage cascade auction offers used cars to its franchise dealer network first and then those that aren’t sold, normally around 10-15%, are then offered out to Autorola Brazil’s 6,000 active B2B buyers. “Generally Cascade sales have a conversion rate of 100% as buyers trust the process, the declared condition of the cars and know they will only take delivery of the car once the funds have passed to the vendor. Vendors are in turn very happy at the transparency at the process, including receiving payment before the car is delivered from a registered Autorola Brazil buyer,” said an Audi Brasil spokesman. “Audi prices have been at around 75% of a car’s original cost, which is very strong. Importantly the reports that Autorola Brazil sends to the vendor traces the car’s life from when it is registered to when it is sold and who the buyer is. If there is a query from a buyer, Autorola Brazil manages it in close co-operation with our used car team reinforcing that the human element supports the online proposition well,” he added. Autorola is now turning its attention to the rental and leasing industries as they are also keen to run a corruption free disposal operation. In July and August Autorola was tasked with selling a few hundred used cars quickly to free up the vendor’s cashflow and is just about to enter into an agreement to manage the inspection and remarketing of a major rental buy back deal. “We are doing out bit with our customers to ensure that good wins over evil. We hope the entire market will come round to Autorola’s way of thinking in the next few years. 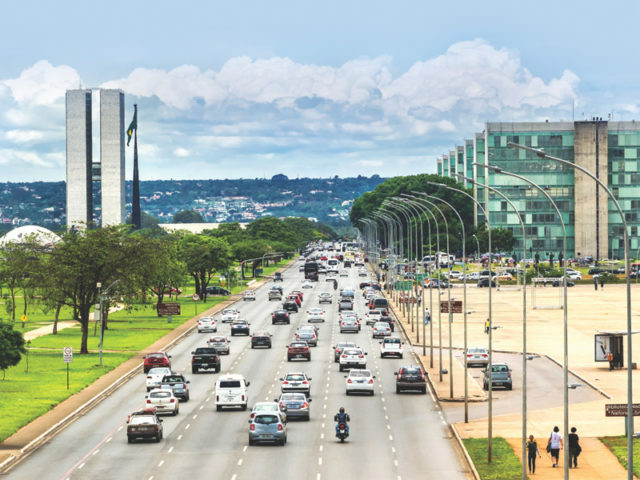 Ultimately the automotive market is a big part of Brazil’s industrial success story so it would be good to see it was the first to achieve a zero corruption status with our help,” explained Kierulf. Each time we produce our quarterly newsletter we talk about the constant changes in the automotive industry that are affecting the demand and supply of new and used cars. The most recent challenge is the bad press surrounding diesel cars. After years of Governments encouraging drivers to get into diesels to help reduce CO2 levels they are now trying to penalise the fuel based on the particulates emitted that contribute to poor air quality in our cities. Cities like Madrid, Paris and Berlin are already starting to penalise diesels either preventing/restricting them from entering the city centre or forcing older used diesel cars and vans to be scrapped. Autorola UK survey proved that demand and prices of used petrol cars are strong but diesels are still in high demand with buyers. In fact the UK has seen both petrol and diesel residuals strengthen in the last few months. The used buyer seems content to still buy used diesels but the air quality challenge is likely to speed up the growth of sales of new EVs and hybrids in and around our cities. As for the used market, there are millions of diesels in service across the globe which will take decades before they all reach the scrapyard. In the meantime if used demand does change then online cross border sales are likely to help balance out the demand and supply of used petrols and diesels. Our online remarketing portal has been at the forefront of European cross border sales for many years. 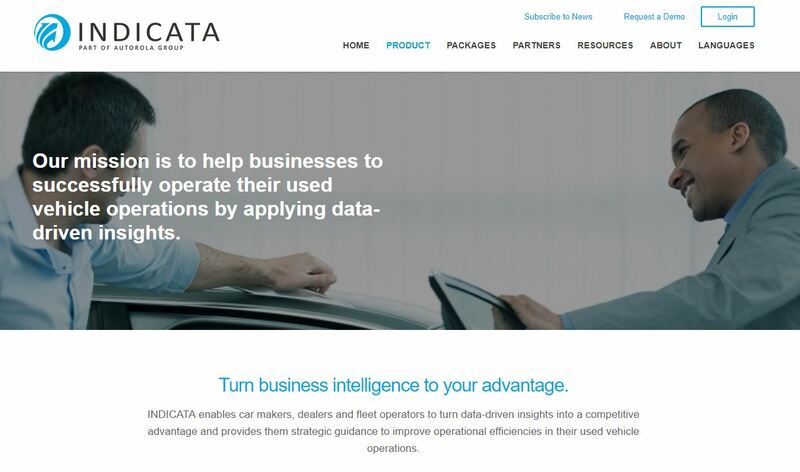 Our real time used vehicle business intelligence platform INDICATA will also help OEMs and their dealers determine the demand and pricing for petrol and diesel used cars locally and nationally. Autorola Turkey recently celebrated the launch of INDICATA as the first ever used values guide into Turkey and its forthcoming launch in the UK means the system is now available in all the key European markets. Autorola Mexico is also showing signs of good growth helping bring process and structure to the country’s used market and in Denmark we are at the forefront of helping asset owners change their inspection and sales processes to respond to the popularity of new short term flexi lease schemes. One thing we can guarantee is that the automotive industry will continue to change and we aim to keep helping buyers and vendors respond to those changes to continue optimise the management and sale of their assets. The Danish new car market continues to go from strength to strength with 2016 reaching an all time high of 259,555 units (222,927 new car and 36,628 light commercials). Like so many European countries the leasing market is helping contribute to much of this growth, with leasing volumes growing from 38% in 2015 to 43% at the end of 2016. A reduction in the registration duty on new cars from 180% to 150% has also been introduced over the past 18 months. There have been two major growth areas, in van leasing and personal leasing, both areas where Autorola is the market leader of inspection and online remarketing services. ”The Danish economy continues to grow and businesses are using leasing as a cost effective way of buying a new light commercial to help fuel their expansion. Van sales have grown by around 25% since 2014,” said Pedersen. “Manufacturers are making car personal leasing very attractive not just with low interest rates, low deposits and low monthly rentals, but the flexibility of leases are such that a consumer can walk away from a lease after just a year by giving just one month’s notice. Consumers are turning these agreements into short term flexi leases which the Danish market hasn’t seen before. “This trend is fuelling the growth in 12-18 month old used cars coming from the lease sector, which is traditionally the replacement cycle adopted by rental companies,” he added. Rather than risk flooding the market full of nearly new used cars both sectors have created new retail brands where consumers can buy a subscription to a nearly new car and then hand it back after a minimum of three months. Leasing and rental companies are generating three to four more paid subscriptions before they are selling the cars into the used market when the car is still only 30-36 months old. “We have had to revise our business model by providing inspection and refurbishment services to the same car a number of different times before it is eventually sold on our online remarketing portal, “ said Pedersen. A growing number of personal leasing drivers are returning their end of lease vehicles back to one of Autorola’s eight storage centres in Denmark which process tens of thousands of end of contract lease vehicles each year. Used car prices have also been helped by the reduction in registration tax from 180% to 150% as the tax affects used as well as new cars. This has meant a greater demand for Danish cars for export, where previously buyers were put off by the high prices. A major challenge for motor dealer groups is the change in tax regulations. 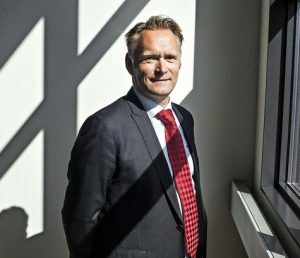 Normally Danish used car dealers can buy used cars including Tax and VAT, but now the majority of returned vehicles from the leasing industry are without Tax and VAT. If the Danish used car market does not learn to manage the new tax regulations, then there will be almost no cars available for them to buy in the market and Danish leasing companies will be forced to export them. There are advantages associated with the Danish car dealers being able to buy cars without Tax and VAT including a lower purchasing price for the car because the Tax and VAT is only paid when the car is sold and registered by the Danish authorities. The used car dealer will have lower financial inventory levels as well as have more cars in stock, giving dealer groups who can manage this new legislation situation a major advantage in the market. Many of the 19 countries where Autorola has subsidiaries are now suffering from poor urban air quality and diesel cars are being partly blamed for this problem. Autorola UK surveyed the average prices of used petrols and diesels sold in the country between 2014 and 2017 to understand whether buyers are falling out of love with diesel cars. The price of used petrol cars sold by Autorola actually rose to a four year high of £8,333 in Q1 2017, £1,203 higher than the four-year low of £7,130 recorded in Q4 2014. Autorola’s survey shows average diesel prices rising from £10,029 in 2014 to £11,493 in 2017, an increase of £1,464. The four-year price high was £11,945 in Q4 2015 against a low of £10,029 in Q1 2014. The smallest gap between average petrol and diesel prices was also in Q1 2017 at £3,160. 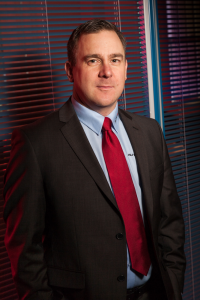 “Average petrol prices reached their highest point in Q1 2017, which shows a resurgence in demand and increase in used prices that we have experienced since Q1 2015,” explained Jon Mitchell, Autorola UK’s group sales director. “However, buyers seem unperturbed by the recent bad publicity around diesels with average prices rising consistently since 2015. Diesel is still firmly the fuel of choice for the 2,000 active buyers on our portal,” he added. Unsurprisingly, diesel cars continue to cover more miles on average than petrol. Average diesel mileage over the 39 months of the survey was 25,357 compared with 20,348 for petrol. Typically, cars sold by Autorola UK are franchised dealer part exchanges and used stock, which means mileages are generally slightly lower than average. Autorola’s data also shows the average age of both diesel and petrol vehicles have fallen. The average age of diesels was 27 months in Q1 2017, comparing to the previous low of 29 months first seen in Q2 2014. The average age of petrols sold in Q1 2017 was 30 months, bettering the previous low average of 33 months in Q3 2016. Models costing 40,000-70,000 lira have seen a price rise of around 3 percent thanks to the introduction of a new special consumption tax in Turkey and the government claims the changes will add around an additional 3 billion lira to its budget. The move hits those luxury cars that are imported from outside Turkey therefore making the mass-market cars made in the domestic market better value for money. This tax increase has already stalled new car sales but has ignited consumer demand across the 3.5 million strong used car market. “Historically much of the used car business has been based just around Istanbul. The used market is now maturing quite quickly and trade buyers have been very open to purchasing used cars online. “We have signed up 10 major vendors in the past 12 months which reinforces the response for online remarketing. Turkey is a big country and it is uneconomical to keep moving vehicles round to sell them. This vendor growth has helped us provide a wide mix of stock for buyers which they have responded to very well,” explained Saygi. In 2016 756,938 new cars were sold in Turkey, a rise of 4.3% rise over 2015, one in three (32%) of which were manufactured in Turkey. Automotive producers, such as Toyota, Renault, Fiat and Ford have manufacturing operations in Turkey. The country’s automotive sector was the biggest exporter last year with around $23.9 billion in exports, up from $21.3 billion in 2015. On the back of this success there has been major investment in the country’s transport infrastructure which will also help take away the focus just on Istanbul as the economic capital of Turkey. Better road networks will help spread the external investment to other cities and Autorola is playing its part by running regional online used car auctions in nine different cities. Typically smaller used cars between 50-60,000 lira are most popular in Turkey at an average age of 24 months/50-60,000km. One challenge for the Turkish market is to know what used cars are worth. Until the recent launch of Autorola’s INDICATA real time used vehicle pricing system in January the country did not have a used vehicle guide for the industry to refer to. INDICATA will help both the OEM and local dealer understand the true value of used cars based on local demand and supply. “Dealers can use the data proactively to sell more used cars and importantly reduce stocking days. They will be able to adjust prices up or down on a weekly basis to ensure their used stock remains competitive and only buy in new stock that they know is in high demand. 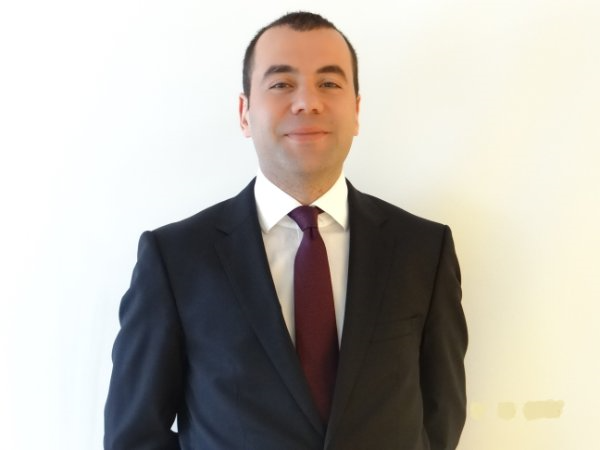 INDICATA gives the market the most dynamic insight into the used industry and OEMs and their dealers are already actively piloting the system,” said Saygi. 2017 has already been an exciting year for our group with our INDICATA brand going from strength to strength. The UK is set to come on stream very soon as is Poland and in Turkey it is leading the way as the country’s only used vehicle guide. Traxio has announced a partnership with INDICATA in Belgium to offer the real time used car business intelligence service to its 8,800 companies representing over 2,500 car dealerships. Autorola Mexico has just celebrated its first major customer win just over 12 months after opening for business. The OEM will be using the Fleet Monitor asset management system and our online auction system to sell cars to its dealer network. 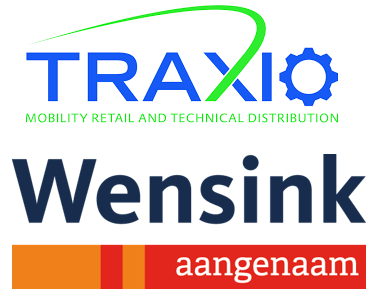 We are now working with a major finance house in Germany and Autorola Netherlands has expanded its agreement with the Wensink Automotive dealer group to sell more used vehicles online. Our Otokoc contract in Turkey goes from strength to strength and we have an exciting e-repair pilot in operation for a global rental company. In the UK we are soon to sign up to yet another manufacturer to our Autofind online trade to trade auction service and we hope to be able to announce a major partnership with a global car maker in Italy, Spain, France and Portugal very soon. If you want to hear regular news from the Autorola Group sign up to our Linked page or visit our Group website at www.autorolagroup.com. 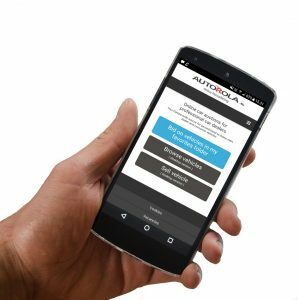 Buyers who are signed up to buy vehicles on Autorola’s global online remarketing platform can now bid through their mobile device. Buyers can bid via a smartphone or tablet and to ensure they do not miss out on stock, they receive an email or SMS when they have been outbid or when the auction is just about to end. Currently buyers in 12 countries (FR, AT, BE, DE, DK, ES, UK, IT, PL, PT, AU, NL) can take advantage of mobile bidding, with other geographies being launched soon. During its two-month pilot, Mobile Bidding saw a high volume of bids and sales, especially from smaller national and international buyers with broader roles than just buying. “Buyers are often very time-poor and we have seen they have really benefitted from this initiative. The biggest trend so far is buyers purchasing used vehicles cross-border,” explained Morten Holmsten, Autorola Group’s global sales director. “We hope to have the rest of our countries up and running in the next few months,” he added.